If you experience a hard drive crash, it doesn’t take much to make a bad situation even worse. In the event of a hard drive crash, in most instances, the data is completely recoverable at first. However, as part of human nature, we often try to avoid the high costs associated with data recovery in order to find some sort of “quick fix” to a very serious problem. In this report we will go over some of the symptoms of a hard drive crash and the things you can try in the event of a suspected hard drive crash, along with things you should avoid. What Noise Is The Drive Making? The first thing to take into account is whether or not the hard drive is making any unusual noises. Often times when there is a problem with the read/write head within the drive or a firmware issue in the logic board a “clicking” sound will be heard. If this is the case, then you should immediately power down the system and refrain from reapplying power. Same thing goes for any unusual sound, whether it’s grinding, squealing, or sounds like a “laser gun”. If any of these occur you should immediately power the system down, don’t even attempt to go through the normal shut down procedure, just pull the plug. 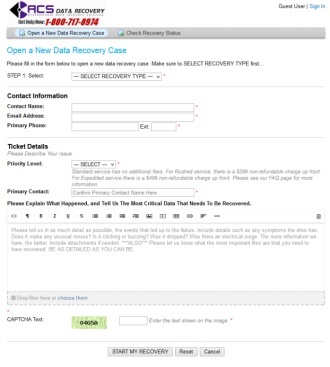 Unfortunately in the situations listed above, there is little that you can do to recover the data yourself. If the failure is mechanical, unless you have a clean room, fully equipped with the right tools and a trained technician there is nothing that can be done. Even hard drive manufacturers avoid this line of work, and many who do offer data recovery services are only sub-contracting the work out to an established data recovery firm. If the data on a hard drive has even the most minimal value to you, then it is imperative that you do not open the drive. We often get calls or e-mails from people who felt they had the right equipment and know-how to perform something as serious as a head replacement. Once they’ve removed the hard drive’s protective case, we often times ask them not to send the drive in, because more often than not, the damage is irreparable. Working with the internal components of a hard drive requires a Class-100 clean room. A clean room does not mean a room that you just vacuumed and dusted (believe it or not people say that to us all the time). A clean room is a special work area in which air quality is heavily controlled and it is vital to hard drives during the manufacturing or assembly process. The air in the room is regulated in term of air particles, temperature and humidity. A Class-100 clean room means there exists no more than 100 particles that are larger than 0.5 microns in one cubic foot of air. Opening a hard drive in air meeting anything less than the standard listed above will mean certain death for your hard drive and any data contained therein. There has been a long running wive’s tale about putting your hard drive in the freezer when it crashes in order to revive it just long enough to pull your data off of it. We’ve run this test for fun on many occasions in different scenarios with junk test drives that we have in our lab. So far we have yet to see this actually produce any positive results. In fact, in one instance we actually began to see the formation of tiny microscopic ice crystals on the platter themselves, which is a definite crash waiting to happen. See the problem with this theory is, drives are not completely sealed. Regardless of what you’ve heard or read, nearly all hard drives have a tiny breather hole (usually marked with a label that says DO NOT COVER). This hole not only aids in cooling but it also helps to equalize air pressure in the drive when the platters are spinning. On the other side of this hole is a filter, which keeps dirt and debris from getting inside the drive. However, this filter does not stop heavy amounts of moisture (especially in flood situations) or moisture vapor (such as found in a freezer). This moisture vapor has been known to settle on the platters when the drive warms there is really nothing you can do about it. Then when the drive is powered up, the read/write head resembles an airplane flying into a mountain. In closing, If you’ve experienced a hard drive crash, it is imperative that you consider the value of the data, before you consider the money you might save by doing it yourself. Data recovery is a specialty, and it requires a number of specialized tools, skills and software to complete successfully. Many times you run the risk of taking data that may be perfectly recoverable and destroying it permanently. If you have any questions, it is best to consult with a recovery firm first. 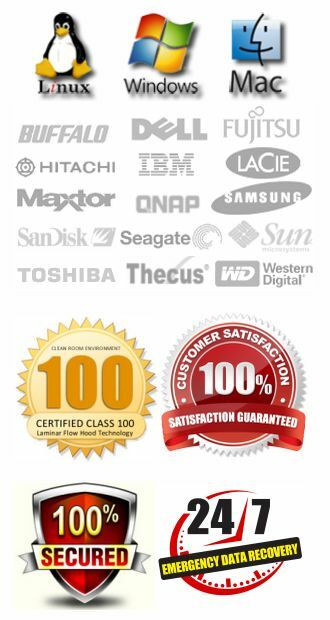 Most reputable data recovery companies will perform a free diagnostic and evaluation on most standard IDE hard drives. Many will even include a list of the recoverable files with that evaluation before you proceed. In some cases, we even work with our customers on a payment plan to help ease the burden of the recovery costs. Of course the best way to avoid all of this is to simply backup anything and everything of value.